UK Documents Legalised – All legal documents issued from the UK can be Notarized, Apostilled and Legalized for use in GCC Countries. Legalization authorities will confirm that the signature and the seal on the document is from the authorized people. We have to follow this process only then you can use this document in a foreign country especially UAE. Verification is conducted in a various manner such as verifying the signature, verifying the stamp or the seal is authentic or not. Upon confirming concerned department will accept it by attaching a stamped official document (a paper) which is called an Apostille to it. This process is followed only for the UK issued documents or certificates. Actual document that you want to legalize. Physical address so we can deliver the legalized document. With the above, we can proceed further with the legalization/ Attestation activities. Diploma or Degree Certificates – Certificates have to be awarded by the recognized body. Birth Certificates from UK – You UK Birth Certificate can be Attested if you have the originals. UK Divorce Certificates – Certificate of no impediment / Decree nisi / Decree absolute from the UK can be attested. Court Documents issued from UK – County court documents / Court Documents / Sheriff Court documents from the UK can be attested. UK Companies House document – These documents have to be signed by the officials or original document produced from the original PDF is accepted. Certificate of Incorporation – The Original document signed by the officials / Photocopy of the incorporation / original document produced from the original PDF is accepted. Normal – 12 Business Days. Express – 10 Business Days. 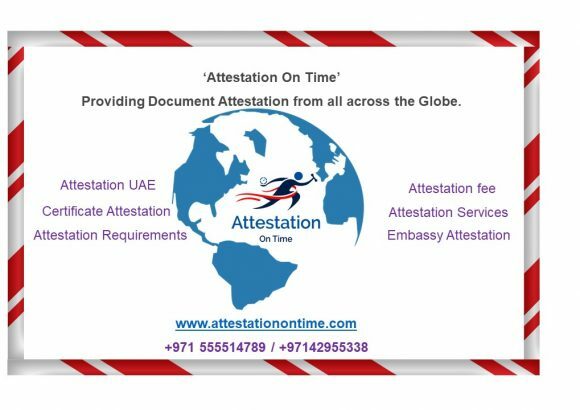 Email us your UK document at info@attestationontime.com to understand which option will suit you. The number of documents that you are planning to attest? Which embassy attestation is required? Attestation required on the original or copy? Which service would you like to opt for? Delivery of document and many more factors. Upon receiving your email(info@attestationontime.com) we will ensure immediate replies are given to avoid any delays.